I'm trying to gain muscle and become fit without getting too pumped up. I've made this diet and my question is, how do I check if my diet is any good? edit 1: My warm meal isn't included but that will be mostly veggies and a small portion of red meat or chicken. The way you check if your diet is good, is by checking that it contains all the micronutrients you need. You need to make sure you get all your vitamins, minerals, etc. Secondly, the way you check if it's the right diet for you is by determining if you are accomplishing your goals. Your diet should fit your goals, and if it's not helping you get there, then the diet needs to be adjusted. Generally, the diet should provide the nutrition needed to make sure you are not chronically tired, to make sure you recover from any exercise. Since you're ostensibly looking to gain some weight (in terms of muscle), you need a bit of a caloric surplus. These are the main factors you need to consider when making a diet. If you follow this, you can't go far wrong, and the longer you stick to this diet, and make small adjustments to it, the more you will learn about what YOUR body in particular needs. Since diet is not a one-size-fits-all thing, you will inevitably have to experiment to find out what you need, since no one can tell you outright what the perfect diet for you is. Not the answer you're looking for? Browse other questions tagged weight-loss diet muscle-gain food or ask your own question. Is it unhealthy to eat jacket potatoes everyday? Is it possible to gain weight eating only fruits and vegetables? Suggested Diet. Is my personal trainer trying to kill me? How can I adjust my fitness routine to account for my insulin resistance? 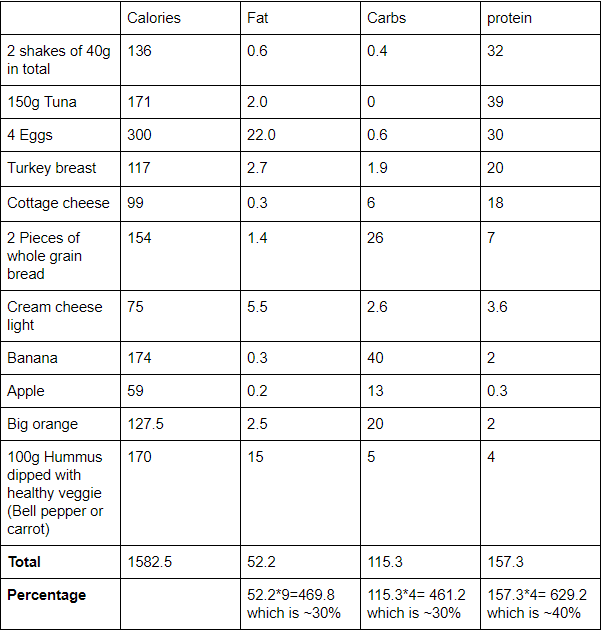 Is it possible to achieve an athletic physique with my diet?